Matthew Warner wrote a really good article on why he left Facebook. It is so convincing, I haven't even checked Facebook all day. The REAL Reason to Quit Facebook (and 10 what-ifs) . The themes of the Mass prayers and readings, and those of the Liturgy of the Hours, reflect the basis of the Church’s teaching about Mary and the many titles accorded her in popular Christian devotion. The feast of Mary’s Assumption honors her Dormition, as the feast is called in the East, her falling asleep in the Lord and being taken body and soul to heaven when her earthly life was completed. 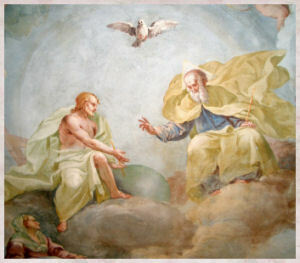 Mary’s Assumption is analogous to Jesus’ Ascension. Finally Pope Pius XII solemnly defined Mary’s Assumption as a dogma and an article of faith in Munificentissimus Deus more than six decades ago on November 1, 1950. In many countries this feast is a holyday of obligation. In Lebanon, August 15 is also a national holiday observed by peoples of all faiths. 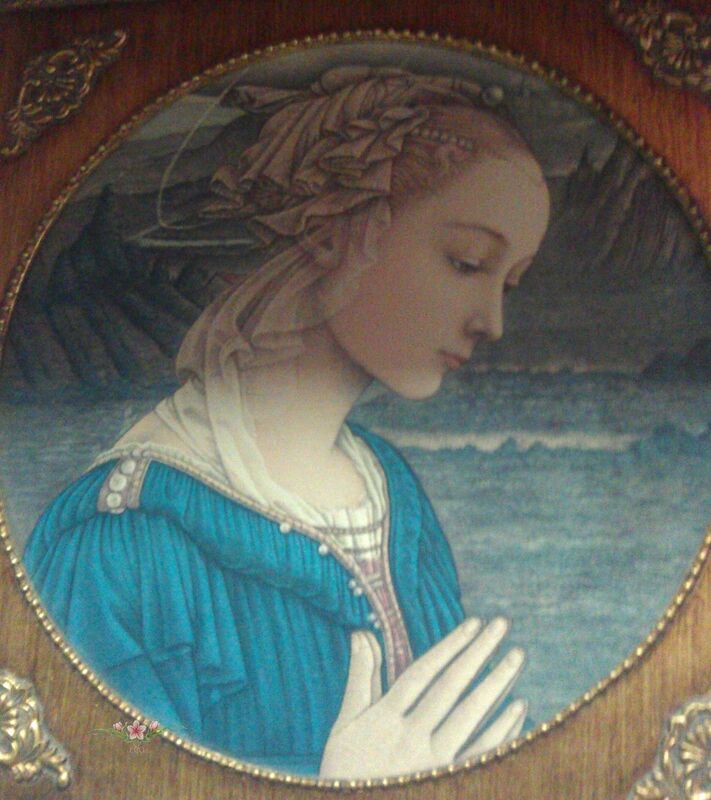 What meaning and message does Mary’s Assumption have for us today? This doctrine and feast remind us of our eternal destiny, that we are made for everlasting life with God. This feast honoring Mary points us to our future and reminds us to live accordingly so as to achieve our goal. 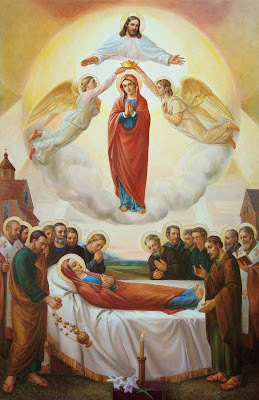 The Assumption of Mary also teaches us respect for life and for the sacredness of the human body. Queen assumed into heaven, pray for us! It was a Polish compatriot of St. Maximilian Kolbe, Maria Winowska, who dubbed him “Our Lady’s Fool” in the title of her biography about this Knight of Mary Immaculate. And for good reason: he was dauntless in his desire and daring and effort to praise and serve Mary Immaculate in the salvation of humankind. The second of five sons born to his parents, he was named Raymond. Two of his brothers died at a young age. At the age of 13 in 1907 Raymond joined his older brother Francis in entering the Conventual Franciscan minor seminary in Lwow. His younger brother Joseph followed two years later. 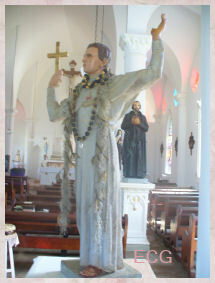 Raymond, who on entering the novitiate in 1910 assumed the name Maximilian, was strongly motivated from early childhood to serve as a knight of Our Lady in the spiritual battle for souls between her and the Serpent. Sent to Rome in 1912 to gain doctorates in philosophy and theology, he discovered a year before ordination in 1918 that six of his confreres shared his dream of enlisting and forming others to bring Jesus to the world under the auspices of Mary Immaculate. in Portugal. The foundation of this spiritual militia occurred just two weeks before the Bolshevik revolution in Russia when a very different militia, the Communist party, was set up in no less than the Cathedral of the Assumption in the Moscow Kremlin. Its aim was just the contrary: to detach the world from the Kingship of Jesus Christ. He returned to Poland in 1919 and established the Militia of Mary Immaculate in Krakow, where he was teaching philosophy and theology in the Franciscan seminary. Less than two years after his return to Poland, his doctors diagnosed him as terminally ill and he was admitted to a sanitarium. But one fine day he dismissed himself and returned to his community in Krakow, much to the consternation of his superiors. 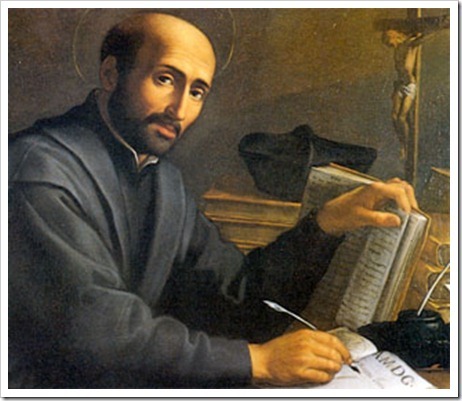 Then he boldly proposed his desire to publish a Marian magazine as organ of the Militia of Mary Immaculate, for he was convinced of the power of the press. His fellow friars treated him like a fool and spared no insults. But he persisted and unfolded his plan. Although stubborn, he was likeable and genuine; he continued to pursue the challenge. His persistence was rewarded and finally he obtained permission. Even though his community did not provide a single penny for this undertaking, funding arrived mysteriously when needed. This was Mary’s work. 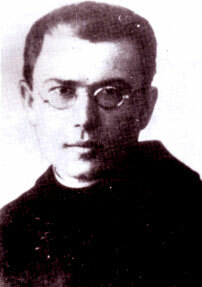 In 1922 Father Maximilian Kolbe and his collaborators published the first issue of Mary’s Knight. But his larger dream was to create a publishing center on the outskirts Krakow replete with furnished office space and a fully equipped press area with state of the art machinery. While his superiors always found his projects extravagant, they allowed him to forge ahead because necessary help was always forthcoming at the opportune time. Over 700 volunteers responded to his appeal for workers among religious and laity. The project soon outgrew available space in the ancient friary and was moved to the city of Grodno in northeast Poland. In 1927, with a large donation of land outside Warsaw from Prince John Drucki-Lubecki, the project there grew into a “city” which Father Kolbe named Niepokalanow (literally Mary’s Garden), or City of the Immaculate. The publication of Mary’s Knight prospered, and circulation increased with each issue: several thousand at first, 400,000 in 1930, one million in 1939. 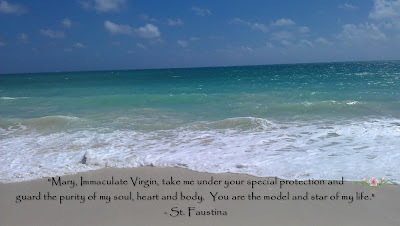 The whole world was waiting to be conquered for Christ under the auspices of Mary Immaculate, Mother of Christ. With her nothing was too difficult to undertake. Maximilian’s next plan astonished his superiors even more. He wanted to go to Japan to publish Mary’s Knight in Japanese. After relentless supplications he received the necessary permissions in 1930 from the Roman authorities and his superiors. Exactly one month after arrival he produced the first edition of Mary’s Knight in Japanese. In December of that same year 25,000 copies were printed and distributed free of charge. In 1936 he returned to Poland and became superior once again of Niepokalanow. There, in addition to the weekly Mary’s Knight, he launched the Little Daily News, which soon became the most popular newspaper in the country. To reach beyond Poland to the entire world, he followed in 1938 with the Latin review Miles Immaculatae for priests. Kolbe was recognized as a master journalist and apostle of the press. 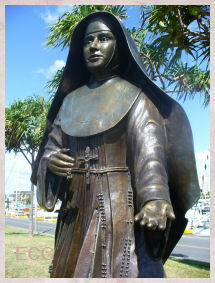 Father Emile Neubert, S.M., a French Marianist and also a prolific author about matters Marian, was a contemporary of St. Maximilian. Except for Maximilian’s beard, some thought the two exhibited a remarkable physical resemblance. The two became good friends through correspondence and exchanged ideas. 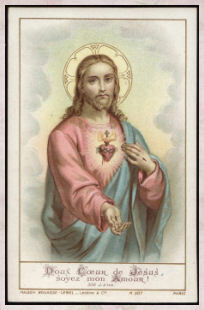 Maximilian admired greatly Emile Neubert’s masterpiece booklet, Mon Ideal, Jesus, Fils de Marie (My Ideal, Jesus, Son of Mary), which had become a best seller and was translated into a number of different languages. Father Kolbe translated that book about participating in the filial piety of Jesus for his Mother into Polish and published it at the City of the Immaculate. invaded by Nazi Germany. On September 19 Father Maximilian Kolbe and his community were loaded onto trucks and delivered to Amfitz, a detention camp, in eastern Germany. 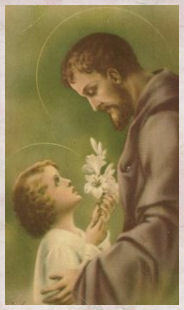 He rallied his confreres to be happy because the Blessed Virgin had sent them gratis on a mission to Germany. “What a godsend this is,” he thought. Immediately he set forth with missionary zeal distributing – even to the German captors – the miraculous medal, of which he always had a pocketful. 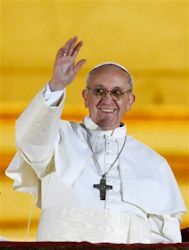 On the feast of the Immaculate Conception the Germans set him and his confreres free and they returned to their friary. Kolbe had been dreaming of martyrdom. In the meantime, in late 1940, he obtained permission from the Nazi government to print an issue of the Knight. The lead article was entitled Truth, and while it did not mention the Nazis once, the whole of Poland knew what he was talking about: the devilish, anti Christian and anti-human character of the totalitarian regime based on a lie and ending in legalized murder. He was soon arrested by the Nazi police on February 17, 1941 and taken to Pawiak prison in Warsaw. On May 28, 1941, he and others were once again loaded onto boxcars and taken to the extermination camp at Auschwitz. That July one of the prisoners escaped from his cell block. In reprisal ten men were chosen to die in the starvation bunker. One of the ten, Francis Gajowniczek, was so distraught that he shouted, “My poor wife, my poor children!” Kolbe broke ranks and offered himself to Fritsch, vice-commandant of the camp, to die in place of the agonized father of a family. Taken aback by the offer Fritsch asked Father Maximilian who he was. The reply, “I am a Catholic priest,” eloquently expressed his desire to give witness to what the great High Priest, Jesus, did for all of us on the Cross. The condemned ten were moved to a death block. They were deprived of all food and drink to induce death. Ordinarily this bunker had resonated with the excruciating screams of the damned. But now there was a startling change. The SS could not understand it. The condemned men prayed and sang hymns at the inspiration of Father Kolbe. After two weeks, only the priest Kolbe was still alive until a prison guard administered a lethal injection on the vigil of Mary’s Assumption 1941. On the day of the feast his body was burned in the crematorium with all the others. The executioners would tolerate no remains of the martyr to be reverenced by the faithful. And yet, what from a worldly viewpoint seemed to be utter defeat, in fact is part of the triumph of the Immaculate Heart of our Queen gloriously reigning on earth as in heaven. 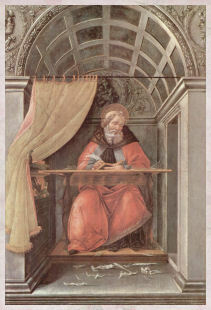 Shortly thereafter prayers ascended to him before his Heavenly Father from far and near, and numerous favors were being attributed to Maximilian’s intercession. The process for his canonization moved rather rapidly. Pope Paul VI beatified him as a confessor in 1971 and Pope John Paul II canonized him a saint and martyr of charity in 1982. What became of St. Maximilian Kolbe’s highly successful work? Did it die with him? Quite the contrary. The Militia of the Immaculate and its apostolate of the press continue on most continents. But perhaps a more astonishing triumph is with his confreres, who once opposed his dreams and endeavors and ridiculed Maximilian as a fool, and eventually became infected with his folly. The general chapter of his religious order directed that every friary establish the Militia in its area and that the foundation of a Niepokalanow be undertaken in every country. The various publications he inspired continue to explain the Militia and to instruct readers to join them in placing all apostolic efforts under the banner of Mary Immaculate. 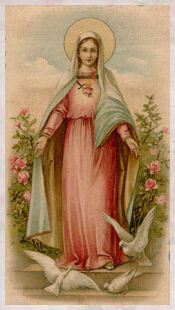 Our Lady’s Fool did not work or suffer or sacrifice his life in vain. Those who battle under the standard of the Immaculate are always victorious. Continue to march in step with Mary. 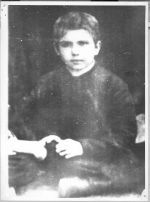 I found this rare photo of a very young St. Maximilian Kolbe at the original site HERE. 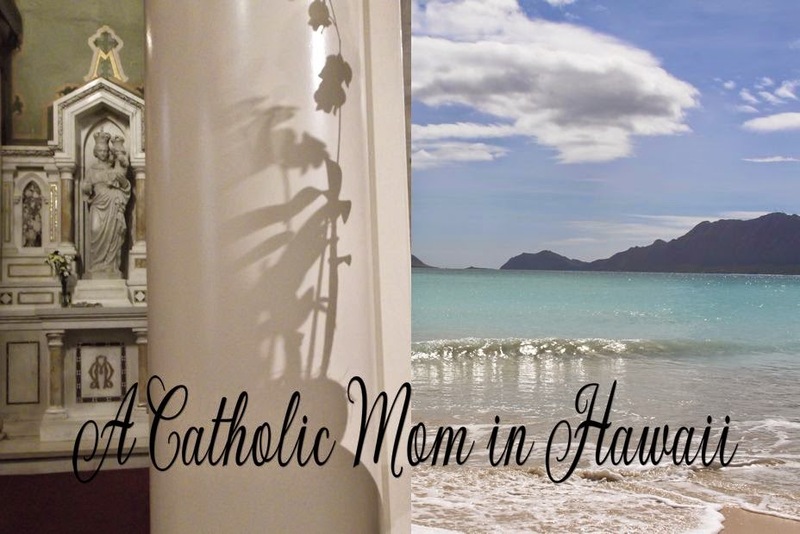 Mahalo to this site for sharing. On the Feast of the St. Charles Lwanga and Companions I wrote about the seminarians in Uganda who struggle financially towards their journey in answering God's call to the priesthood. My family and I have gotten to know one of them. His name is Bruno and he is a wonderful young man, so full of life and full of love for God. I asked him recently at what age he was called and he shared the following. I do have his permission to share it here. May God's choicest blessings flow unto u...! Aloha... Here we are well... Haha...my call is rooted in my childhood. When I was still a little boy, we were a group of age-mates. Because we were brought up in staunch Catholic families, we attended Mass every Sunday and used to sit on a locally made mat which was meant for children placed close to the priest's seat. 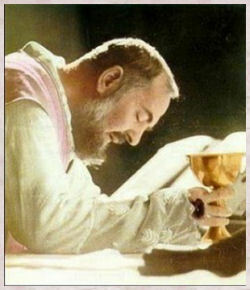 I always admired the way priests conducted themselves at Mass. 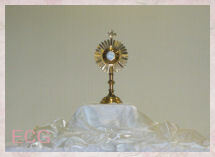 My moving gesture was CONSECRATION: we would be told to keep silent as the Holy Spirit came down. So whenever I had my little age-mates playing in the dust (common for African children), we would bake bread in the soil and get the water in a cup, and I would be the main celebrant to "consecrate". My colleagues referred to me then as Fr Bruno. I then told my parents that I wanted to be a priest like Fr John Bosco-then our Parish priest. My parents enrolled for confirmation preparations, and sent me to a nearby boarding school in primary five in order to groom me for the preparatory seminary in the next year. I naively thought that I would be ordained after primary. Little did I know that I needed to go to high school and also go for philosophy and now theology. Bruno and the other young men appear to have a sincere calling and wish to become priests. 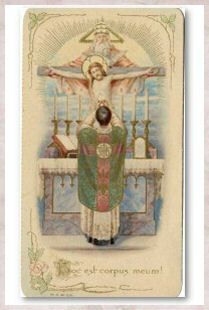 Since they were called by God they are sacrificing much to answering the call to their priestly vocation. However, they come from very poor albeit loving families who cannot help them much financially. For as long as I have had this blog, I have never requested money for myself. Nor would I ever do so! However, I am asking you on behalf of these men, to please adopt them. Please remove the stress and worries caused by financial difficulties and help them concentrate on finishing up their studies. Some of them are very close to being ordained. "...another seminarian who needs help to finish his seminary training. His father passed away last year and his mother is left alone to provide for the family. He will be at Katigondo National Major Seminary. Please send a message to this page for more information on how to help him, or contact him directly on Facebook." If you feel called to spiritually and financially adopt one of these seminarians, please visit Adopt a Catholic Seminarian's Facebook page or contact me by either leaving a comment or emailing me and I will help put you in contact with the lovely lady who runs that page. She is doing what she can to get their story out there. Do you realize what a blessing it would be to help a man become a priest? Imagine that! Oh! I almost forgot to mention. The cost for sponsoring a seminarian in Uganda is not at all expensive. I believe their semester's fees are approximately $250.00! Compare that with what it costs to support a seminarian in this country. 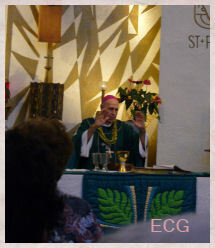 ($45,000.00 a year per seminarian in the Diocese of Honolulu). Of course, if you feel you should support a local seminarian, by all means please do so! It is just important that we support our seminarians near or far. If you cannot support them financially at this time, please pray for them daily that they will succeed in being ordained priests for God.